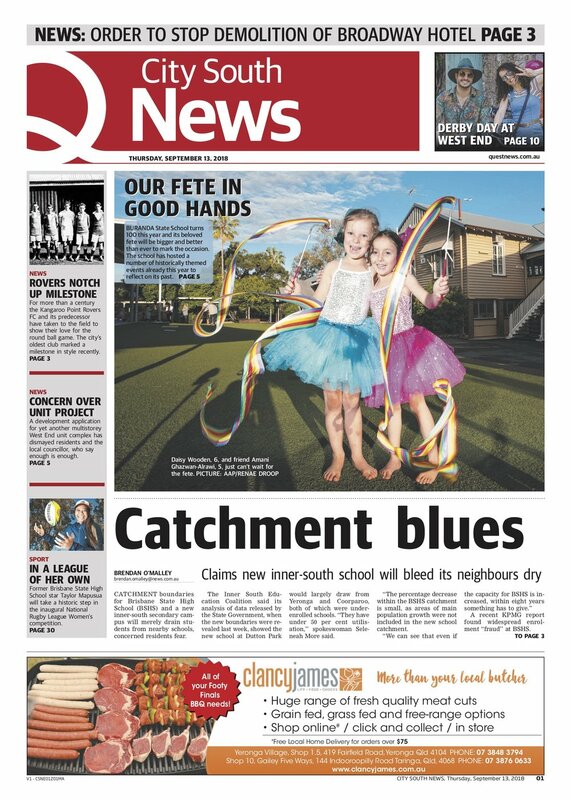 Our centenary celebrations made it to the front page of City South news last week, with a front-page photo about Buranda Fest, and another article inside on p5. Thanks to our patient models Frankie, Mulga, Daisy and Amani. See the full article on the City South website and look for the September 13 edition. Why? to celebrate Book Week and raise money for P&C programs. Download the forms. To participate, children ask family and friends to sponsor them per page or to make a donation. Record sponsors on the Sponsorship Form. Students then read as many pages as they can between Saturday 17 August and Sunday 2 September. Record the books they read (and how many pages) on the My Completed Books Form and ask a parent or teacher to initial each book they complete. Yes, children can record the same books for the Read-a-Thon and Premier's Reading Challenge. After Sunday 2 September, add up the grand total of pages to calculate what sponsors owe and collect the pledges. Pay via Qkr! and return forms (and cash if needed) to the P&C box at the school office by 3pm on Friday 7 September 2018. Malala Yousafzai, Pakistani activist for female education and the youngest-ever Nobel Prize Laureate. Look at our beautiful new promotional materials! 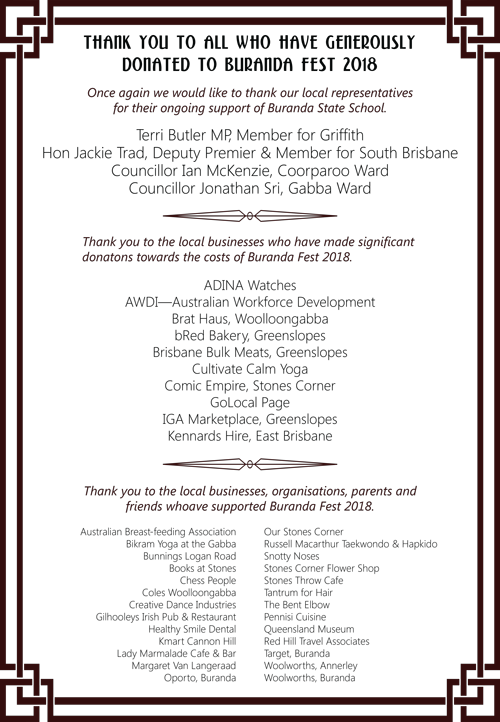 Thanks to Officeworks Woolloongabba who generously donated a beautiful new P&C banner. The banner had its first outing at the Centenary Gala Reunion on Saturday. Many thanks to Fi Cameron, Sybille Goss and Sally Dillon who worked so hard to put the banner together. The fete poster was also a terrific collaboration. They are both fantastic advertisements for our P&C and the amazing work our families do to support their students’ learning.